Richard W. Graham D.M.D. M.S.D. P.A. 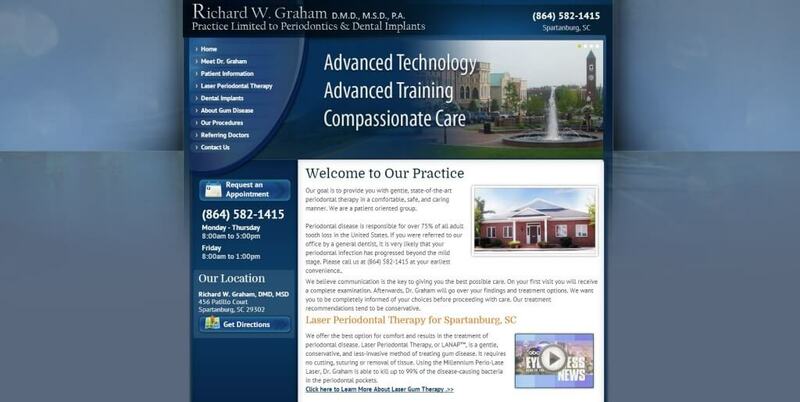 Posted February 13, 2014 By admin in Cosmetic Dentists, Periodontics, Portfolio With | Comments Off on Richard W. Graham D.M.D. M.S.D. P.A.